You have a series of questions about WAEC. The post below will help you provide answers to your concerns. 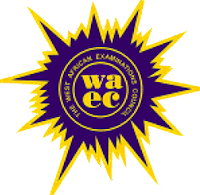 WAEC is West African Examination Council. This is the examination body saddled with the responsibility of conducting Ordinary Level exams (O'level) for West African countries. The five countries conducting WAEC are Nigeria, Ghana, Sierra Leone, Gambia and Liberia. The exam conducted by WAEC is called West African Senior School Certificate Examination (WASSCE). 2. What are the series of exams conducted by WAEC? WASSCE Jan/Feb – this is the first series exams for private candidates. The examination is conducted between January/February, beginning from 2018. WASSCE August/September – this is the second series for private candidates. Holding between August and September, the exam was formerly called WAEC GCE November/December. 3. Can I use WAEC results for local and foreign admission? As the matter of fact, WASSCE is mostly accepted senior secondary school result for admission to any higher institutions in Nigeria and abroad. 4. Can I combine two WAEC results for admissions? Two WASSCEs can be combined for admission. Such results can be two May/June sittings or two Private candidate sittings. However, some courses in Nigeria may not accept two sittings of any exams type e.g Medicine, Pharmacy, Nursing (in certain universities). In this case, you can’t combine two results. If you read the post, "12 Things You Must Know About NABTEB Before You Obtain the Form" or "School of Nursing, Health Tech and Hygiene: Answers to Students’ Questions on Admissions", you'll understand further why some schools or courses may not accept combined results. 5. Can I combine WAEC plus NECO results for Admission? Generally, all schools accept a combination of WAEC and NECO for admission except otherwise stated by such institution's admission adverts/notice. If a school will not accept the two together, it will make it known in the JAMB brochure. But if you must pursue courses like Medicine, Pharmacy, Nursing or you’re applying to a school of nursing; they may not accept such combination. Find out from the school if those courses are your chases. 6. Can I use WAEC awaiting results for admission? Provided your result will be out before your proposed school starts admission processes. This is well detailed in the post, "AWAITING RESULTS: Answers to Students' Questions on Admission"
7. How can I register for WASSCE? To register for WASSCE May/June, you will need to visit any secondary school of your interest. The school will give you their modalities and requirements to take part in their school candidates’ exams. To register for WASSCE Jan./Feb. and August/September, visit the nearest internet café for the registration on its availability. The café will do the registration for you. NOTE that you can't do the registration yourself because it involves bio-metric scanning (using a finger-print machine) which we believe you wouldn't want to buy because of a single registration. That's why you'll need an internet cafe for the registration. 8. What are the subjects I can register for in WASSCE May/June or WASSCE Jan./Feb and August/September? For the list of subjects for private candidates, see WAEC subjects page. For the list of WASSCE subjects for school candidates, visit your secondary school of interest. They should give you the list of available subjects you can opt-in for. 9. How do I check my WASSCE result? Follow the instructions at this link https://www.waecdirect.org/. or our guide in the post, "8 Steps to Check WAEC (WASSCE) result on https://www.waecdirect.org"
10. How can I get WASSCE May/June timetable? WAEC Timetable for May/June (school candidates) should be made available to you by your school. 11. How can I get WASSCE syllabus? To get WASSCE syllabus for May/June school candidates, talk to your school exam officer. For WASSCE Jan./Feb. and August/September, click here. 12. Where can I collect my WASSCE certificate? If you’re a school candidate (who wrote May/June WAEC), go back to the school where you wrote your exams for the certificate. Private candidates (who wrote former WAEC GCE November/December, or WASSCE Jan./Feb. and August/September should go to the WAEC office for the state where they wrote the exams. 13. What do I need to collect my WAEC private candidate result at WAEC office? You’re required to go to WAEC office in the State you sat the examination with the following: Photo Card; Passport Photograph; Online Result Print Out & N3,550. However, for certificates that have stayed in their custody for more than four years, candidates are to pay Custody Fee. 14. How can I check my WAEC results FREE? You can't check your WAEC results free. You should access WAEC checker PIN and Serial No. on the exams card provided for you during the exams. The ID is usually a plastic card. If you're a private candidate, it the details should be on your exams photocard. You can also buy a scratch card or PIN from the nearest WAEC office or the internet cafe around you. 15. Is it true that WAEC results do expire after some certain years? WAEC results do not expire no matter how old it is. You can any time use your results for admission, jobs and any official contest. 16. What is the importance of the QR code on the WAEC certificate and again, are there other means of checking the authenticity of the result if the QR code does not work? You can verify it online via https://www.waeconline.org.ng/verification/ It appears you already know the importance of the Quick Response (QR) Code on our certificates. 17. I have been trying to register someone for WAEC GCE since last week. It keeps saying "An error was encountered while saving details. Reason: invalid Image orientation. Please try again later. What is going on, please? Please, check and ensure you have complied with our requirement for a passport photograph and its upload. If it persists, kindly contact our office nearest to you.